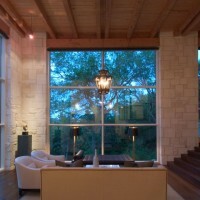 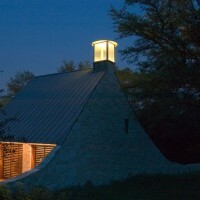 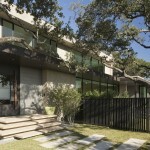 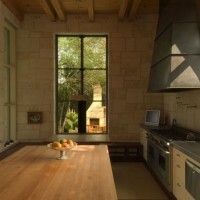 Mell Lawrence Architects designed the Watersmark 35 house in Austin, Texas. 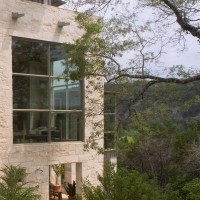 Residing at the end of a road located at the edge of Austin, the Watersmark 35 house was designed to be a restful sanctuary for the owners. 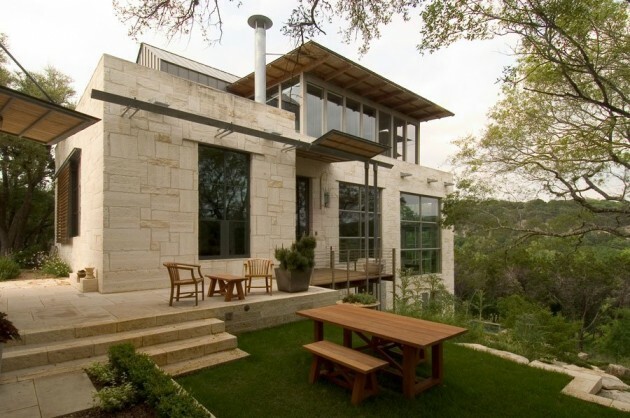 The house embraces its naturally terraced site, capturing both sweeping views in the distance and intimate spaces alongside the building. 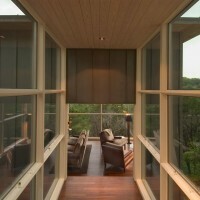 On the more private façade, generous windows and doors open to allow the sun to permeate the space while providing a view down to the creek and valley. 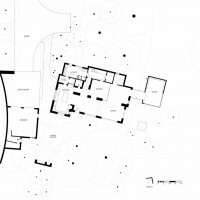 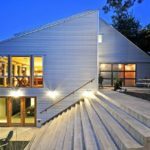 As the house descends the slope, each interior space also corresponds to an exterior ‘room’. 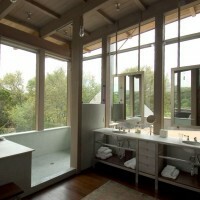 From the living area, a glass bridge leads to the library overlooking a concrete plunge pool below, just off the edge of a natural terrace which opens back into guest quarters tucked into the hillside. 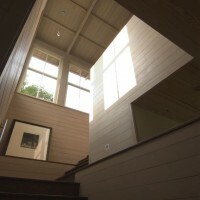 Upstairs, the private suite opens onto to a large covered porch space containing the Master bathroom, a screened area, and a sunny open terrace. 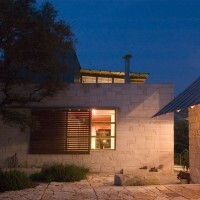 This series of small boxes contrasts the larger spaces anchoring the house below. 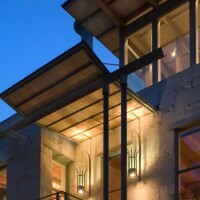 Only elemental materials – wood, stone, concrete and metal – were used, chosen by the architect to express the qualities of timeless buildings: substantial, grounded, and well proportioned, with textural interest flowing between exterior and interior. 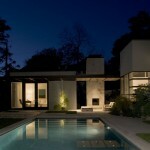 Visit the Mell Lawrence Architects website – here.